Aren’t we sneaky? This is actually a recipe for Poached Pears, with re-purposed leftovers! No matter what the goal – the cocktail or the dessert, it’s a win-win for you! Choose a pot that fits the pears comfortably. Bring the sugar, water, wine, spices and a hearty dollop of vanilla bean paste to a simmer and add the pears. They should be just covered with liquid. Pour the bourbon and syrup into a Boston shaker. Add plenty of ice and shake shake shake! 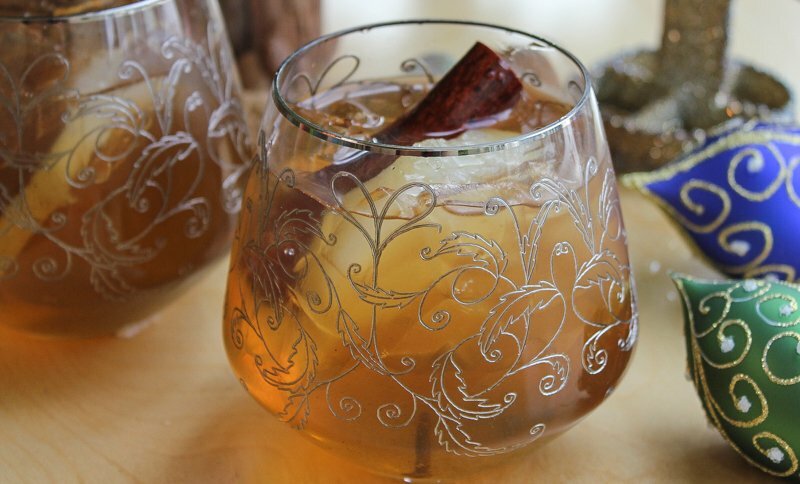 Strain and serve garnished with a cinnamon stick, or a slice of the poached pear. On chilly nights, mix the bourbon and warm simple syrup in a mug. It’s delightful hot!